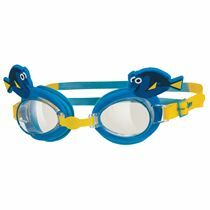 Offering an adorable, lively appearance, the Zoggs Adjustable Kids swimming goggles not only look phenomenally, but also deliver a supreme comfort for the young ones during regular swim pool visits with a smooth soft, silicone frame with favourite Nemo characters on top. 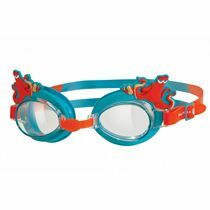 These lightweight, colourful goggles ensure a clear vision and maximum protection from sun exposure with high UV filter, whilst the split-yoke strap with easy-adjust system guarantees personalised, secure fit on par with modifiable nose bridge for extra comfort allowing for a safe and fun splashing in the water. for submitting product information about Zoggs Nemo Adjustable Kids Swimming Goggles We aim to answer all questions within 2-3 days. for submitting product information about Zoggs Nemo Adjustable Kids Swimming Goggles. We aim to answer all questions within 2-3 days. If you provided your name and email address, we will email you as soon as the answer is published. 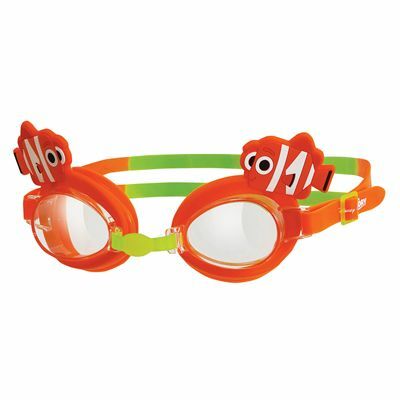 for submitting product review about Zoggs Nemo Adjustable Kids Swimming Goggles.